It’s been three years since I have been in the classroom but, I feel like the topic of kids taking a standardized test is still something I hear a lot about, especially on social media. Maybe it’s because I am still super passionate about education so, I try to stay updated on what’s going on. Or, it’s because now that I am a mom I see this issue from a different perspective. What’s the issue with standardized testing? I have no problem with tests or with kids taking them. What I do, however, take issue with how these tests are used and how young we are giving them to students. I am not alone. Kids in public schools across the country are being tested at an astonishing rate. My last year of teaching was spent in a testing grade. I estimate that my third graders were tested 30 or more times. These were just the district and state required tests. This number doesn’t include teacher created tests or unit assessments. Let me put that into perspective for you. Almost an entire school quarter was devoted to testing. SMH as the kids would text these days. Your state’s standardized test is supposed to be used to measure academic achievement but, even if it does accomplish this goal, it is just a very tiny piece of a much larger puzzle. 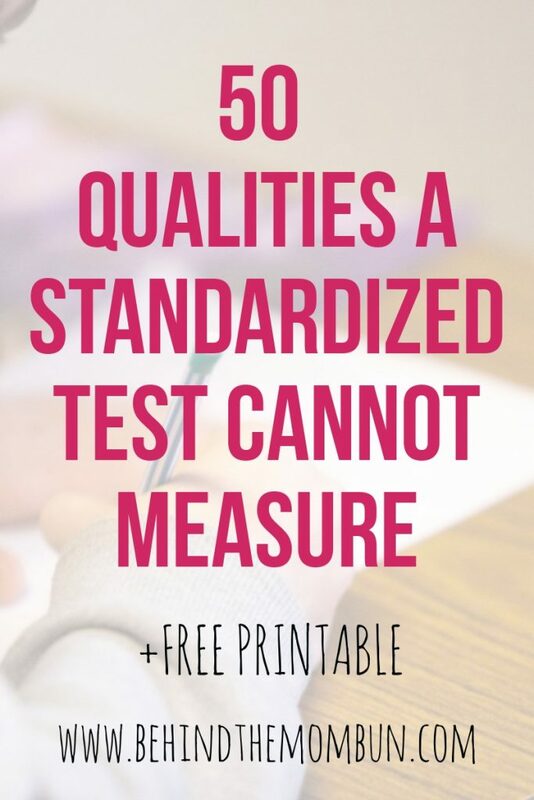 There are so many things that a standardized test cannot measure. And, it is these qualities that are truly important. I am all about encouraging kids to do their best in whatever they do (including on a standardized test). I am a bigger fan of reminding kids of all the positive characteristics they possess. 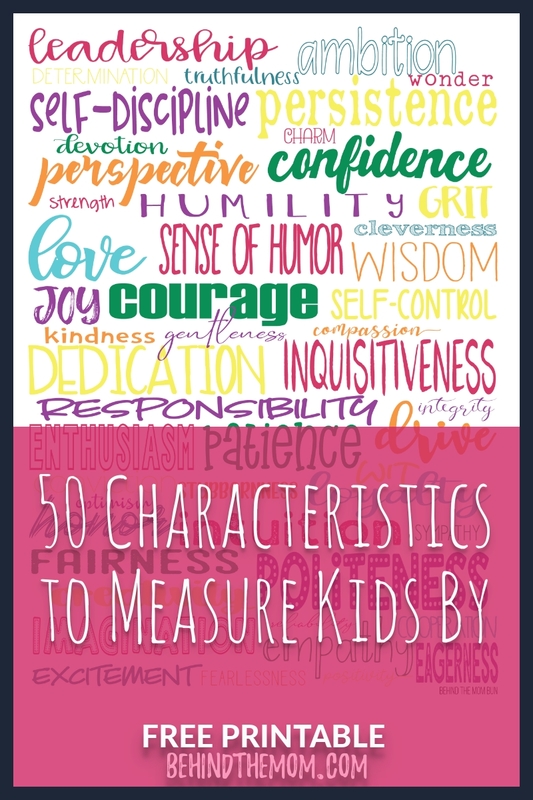 Characteristics that no one looking at a test score would ever be able to figure out. The greater message here is that these tests do not define who your child is or who they are meant to become. Check out six ways to help kids tackle test anxiety. Click here to grab your free 50 Positive Characteristics Subway Art printable.